EAW051956 ENGLAND (1953). 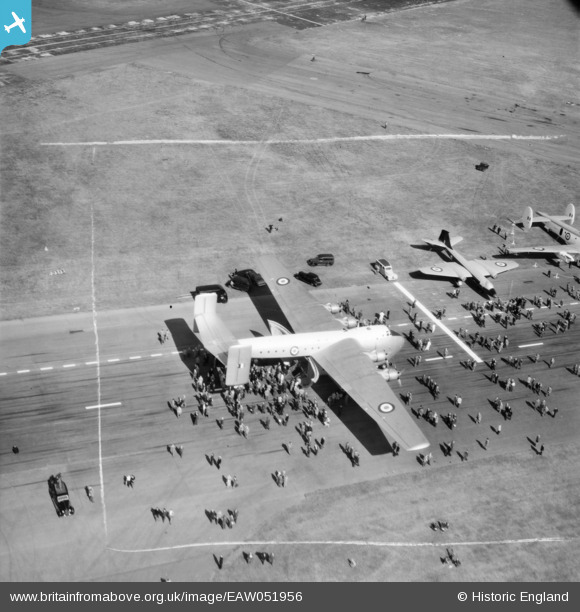 Farnborough, Blackburn Universal Freighter 2 Beverley Prototype WZ889 on display at the Farnborough Air Show, 1953. This image was marked by Aerofilms Ltd for photo editing. Title [EAW051956] Farnborough, Blackburn Universal Freighter 2 Beverley Prototype WZ889 on display at the Farnborough Air Show, 1953. This image was marked by Aerofilms Ltd for photo editing.